Leadership Momentum is led by Elizabeth Doty, in partnership with a network of thought leaders and experienced practitioners. We share a passion for high-engagement facilitation, strengths-based executive coaching, and experiential leadership programs. Elizabeth Doty is a facilitator, author and executive coach with 25 years’ experience helping leaders mobilize positive momentum in their teams, with their peers in other functions, and in customer partnerships. Since 1993, Ms. Doty has helped companies in over a dozen industries mobilize teamwork and build cultures of commitment, collaboration and action. Before founding her own consulting firm, Elizabeth served as a lead consultant with a change services firm, partnering with clients to improve processes and execute mission-critical strategic initiatives. Ms. Doty is the author of The Compromise Trap (Berrett-Koehler, 2009). She has written for Strategy + Business, Yes! Magazine, and The Systems Thinker and presented at Harvard Business School, Systems Thinking in Action, and the Commonwealth Club of San Francisco. Elizabeth earned her MBA from Harvard Business School in 1991 and her Bachelors in Economics from University of California at Berkeley in 1985. She is on the Board of the Berrett-Koehler Authors Cooperative. 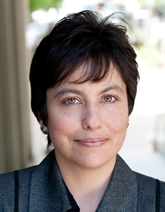 In addition to coaching and consulting, Elizabeth is a former Lab Fellow of the Edmond J. Safra Center for Ethics at Harvard University, where her research focused on how businesses can improve their ability to make and keep the commitments that foster customer loyalty, employee engagement, strategic agility and public trust.